There’s this belief among my software developer friends that electronics are complicated, hardware is hard, and that you need a degree before you can design anything to do with electricity. They honestly believe that building electronics is more complicated than writing intricate software—that is, the software which powers thousands of people’s lives all around the world. It’s this mentality that confuses me. How can you write all of this incredible software, but a believe a simple 555 timer circuit is complicated? I wanted to discover where the idea that “hardware is hard” came from and how I could disprove it. I started with something with which almost everyone is familiar, LEGO. I spent my childhood playing with these tiny plastic bricks, building anything my seven-year-old mind could dream up, creating intricate constructions from seemingly simplistic pieces. Much like the way you build LEGO designs, electronic systems are built upon a foundation of simple components. When you decide to design/build a system, you want to first start by breaking down the system into components and functional sections that are easy to understand. You can use this approach for both digital and analog systems. The example I like use to explain this is a phase-locked loop frequency modulator demodulator/detector, a seemingly complicated device used to decode frequency modulated radio signals. This system sounds like it would be impossible to build, especially for someone who isn’t familiar with electronics. I can recognize that from experience. I remember the first year of my undergraduate studies where my lecturers would place extremely detailed circuit schematics up on a chalkboard and expect us to be able to understand high-level functionality. I recall the panic this induced in a number of my peers and very likely put them off electronics in later years. One of the biggest problems that an electronics instructor faces is teaching complexity without scaring away students. This essay appears in Circuit Cellar 317, December 2016. Subscribe to Circuit Cellar to read project articles, essays, interviews, and tutorials every month! What many people either don’t realize or aren’t taught is that most systems can be broken down into composite pieces. The PLL FM demodulator breaks into three main elements: the phase detector, a voltage controlled oscillator (VCO) and a loop filter. These smaller pieces, or “building blocks,” can then be separated even further. For example, the loop filter—an element of the circuit used to remove high-frequency—is constructed from a simple combination of resistors, capacitors, and operational amplifiers (see Figure 1). I’m going to use a bottom-up approach to explain the loop filter segment of this system using simple resistors (R) and capacitors (C). 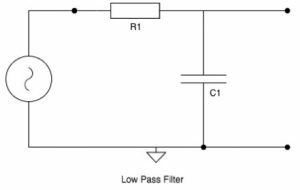 It is this combination of resistors and capacitors allows you to create passive RC filters—circuits which work by allowing only specific frequencies to pass to the output. Figure 2 shows a low-pass filter. This is used to remove high-frequency signals from the output of a circuit. Note: I’m avoiding as much math as possible in this explanation, as you don’t need numerical examples to demonstrate behavior. That can come later! The performance of this RC filter can be improved by adding an amplification stage using an op-amp, as we’ll see next. Op-amps are a nice example of abstraction in electronics. We don’t normally worry about their internals, much like a CPU or other ICs, and rather treat them like functional boxes with inputs and an output. As you can see in Figure 3, the op-amp is working in a “differential” mode to try to equalize the voltages at its negative and positive terminals. It does this by outputting the difference and feeding it back to the negative terminal via a feedback loop created by the potential divider (voltage divider) at R2 and R3. The differential effect between the op-amp’s two input terminals causes a “boosted” output that is determined by the values of R2 and R3. This amplification, in combination with the low-pass passive filter, creates what’s known as a low-pass active filter. The low-pass active filter would be one of a number of filtering elements within the loop filter, and we already built up one of the circuit’s three main elements! This example starts to show how behavior is cumulative. As you gain knowledge about fundamental components, you’ll start to understand how more complex systems work. Almost all of electronic systems have this building block format. So, yes, there might be a number of behaviors to understand. But as soon as you learn the fundamentals, you can start to design and build complicated systems of your own! Alex Bucknall earned a Bachelor’s in Electronic Engineering at the University of Warwick, UK. He is particularily interested in FPGAs and communications systems. 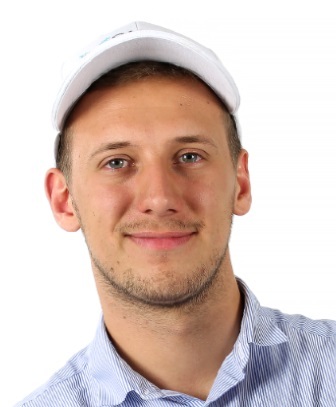 Alex works as a Developer Evangelist for Sigfox, which is offering simple and low-energy communication solutions for the Internet of Things. We first met London-based engineer Saar Drimer in December 2015. At that time, his was running Boldport—a hardware and prototyping consultancy that specializes in circuit boards—from a workspace was in one of the characteristic arches underneath London Bridge Station. A lot has changed since then. Today, Drimer has a new workspace and he is running Boldport Club, which is a monthly electronics hardware subscription service. We recently met up with him to discuss his work and newest endeavors. The future of hardware design is in the cloud. Many companies are already focused on the Internet of Things (IoT) and creating hardware to be interconnected in the cloud. However, can we get to a point where we build hardware itself in the cloud? Traditional methods of building hardware in the cloud recalls the large industry of EDA software packages—board layouts, 3-D circuit assemblies, and chip design. It’s arguable that this industry emphasizes mechanical design, focusing on intricate chip placement, 3-D space, and connections. There are also cloud-based SPICE simulators for electronics—a less-than-user-friendly experience with limited libraries of generic parts. Simulators that do have a larger library also tend to have a larger associated cost. Finding exact parts can be a frustrating experience. A SPICE transistor typically does not have a BOM part number requiring a working design to become a sourcing hunt amongst several vendor offerings. What if I want to create real hardware in the cloud, and build a project like those in Circuit Cellar articles? This is where I see the innovation that is changing the future of how we make electronics. We now have cloud platforms that provide you with the experience of using actual parts from vendors and interfacing them with a microcontroller. 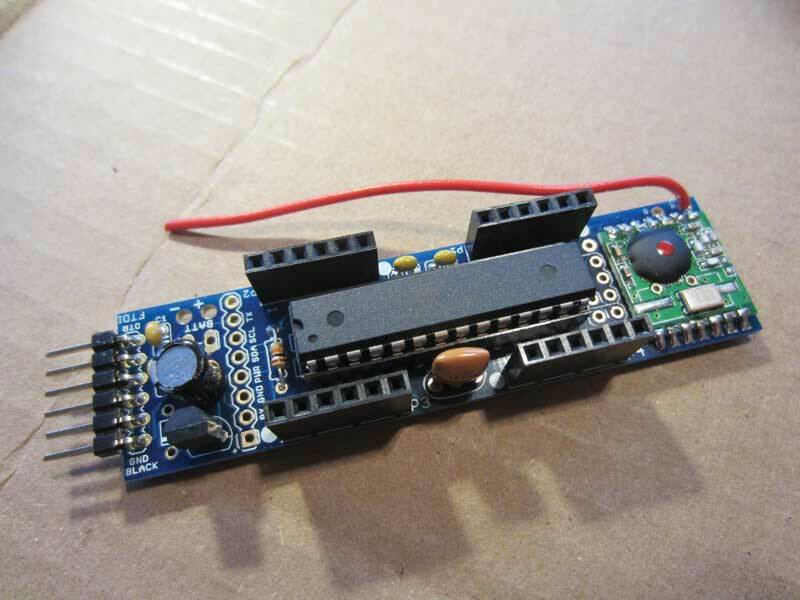 Component lists including servo motors, IR remotes with buttons, LCDs, buzzers with sound, and accelerometers are needed if you’re actually building a project. Definitive parts carried by vendors and not just generic ICs are crucial. Ask any design engineer—they have their typical parts that they reuse and trust in every design. They need to verify that these parts move and work, so having an online platform with these parts allows for a real world simulation. An Arduino IDE that allows for real-time debugging and stepping through code in the cloud is powerful. Advanced microcontroller IDEs do not have external components in their simulators or environment. A platform that can interconnect a controller with external components in simulation mirrors real life closer than anything else. By observing rises in computer processing power, many opportunities may be realized in the future with other more complex MCUs. Most hardware designers are unaware of the newest cloud offerings or have not worked with a platform enough to evaluate it as a game-changer. But imagine if new electronics makers and existing engineers could learn and innovate without hardware for free in the cloud. I remember spending considerable time working on circuit boards to learn the hardware “maker” side of electronics. I would typically start with a breadboard to build basic circuits. Afterwards it was migrated to a protoboard to build a smaller, robust circuit that could be soldered together. Several confident projects later, I jumped to designing and producing PCB boards that eventually led to an entirely different level in the semiconductor industry. 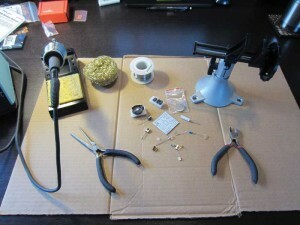 Once the boards were designed, all the motors, sensors, and external parts could be assembled to the board for testing. 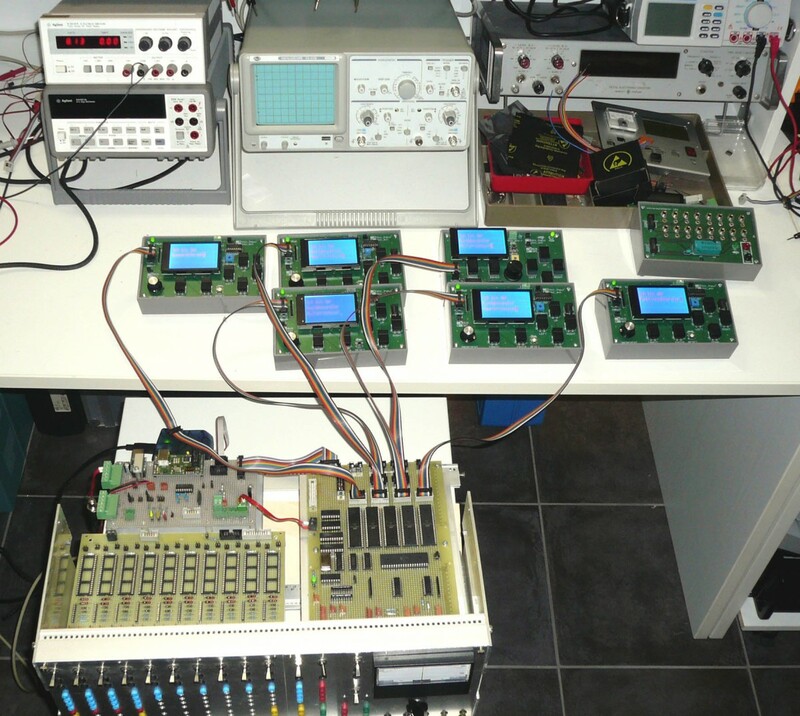 Traditionally, an assembled PCB was needed to run the hardware design—to test it for reliability, to program it, and to verify it works as desired. Parts could be implemented separately, but in the end, a final assembled design was required for software testing, peripheral integration, and quality testing. Imagine how this is now different using a hardware simulation. The quality aspect will always be tied to actual hardware testing, but the design phase is definitely undergoing disruption. A user can simply modify and test until the design works to their liking, and then design it straight away to a PCB after several online designs failures, all without consequence. With an online simulation platform, aspiring engineers can now have experiences different from my traditional one. They don’t need labs or breadboards to blink LEDs. The cloud equalizes access to technology regardless of background. Hardware designs can flow like software. Instead of sending electronics kits to countries with importation issues, hardware designs can be shared online and people can toggle buttons and user test it. Students do not have to buy expensive hardware, batteries, or anything more than a computer. An online simulation platform also affects the design cycle. Hardware design cycles can be fast when needed, but it’s not like software. But by merging the two sides means thousands can access a design and provide feedback overnight, just like a Facebook update. Changes to a design can be done instantly and deployed at the same time—an unheard of cycle time. That’s software’s contribution to the traditional hardware one. There are other possibilities for hardware simulation on the end product side of the market. For instance, crowdfunding websites have become popular destinations for funding projects. But should we trust a simple video representing a working prototype and then buy the hardware ahead of a production? Why can’t we play with the real hardware online? By using an online simulation of actual hardware, even less can be invested in terms of hardware costs, and in the virtual environment, potential customers can experience the end product built on a real electronic design. Subtle changes tend to build up and then avalanche to make dramatic changes in how industries operate. Seeing the early signs—realizing something should be simpler—allows you to ask questions and determine where market gaps exist. Hardware simulation in the cloud will change the future of electronics design, and it will provide a great platform for showcasing your designs and teaching others about the industry. 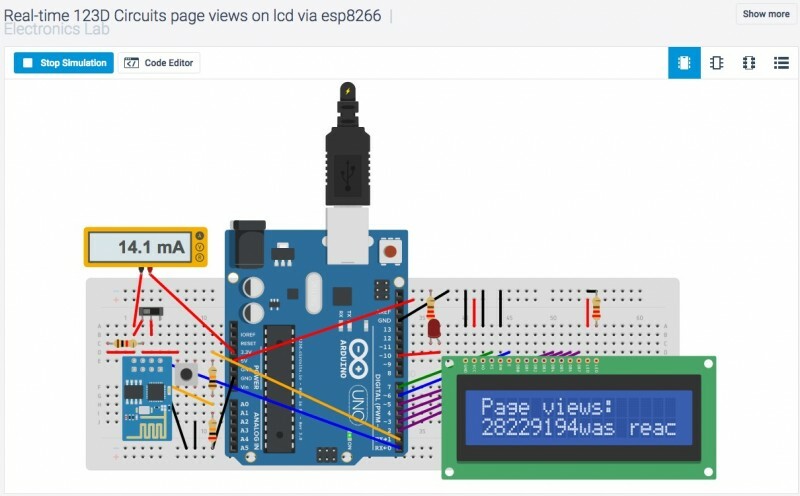 John Young is the Product Marketing Manager for Autodesk’s 123D Circuits (https://123d.circuits.io/) focusing on building a free online simulator for electronics. 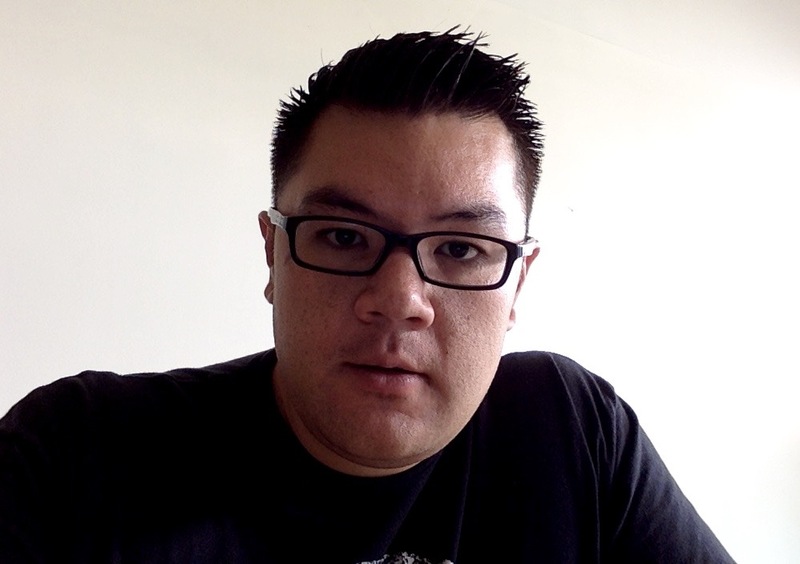 He has a semiconductor background in designing products—from R&D to market launch for Freescale and Renesas. His passion is finding the right market segment and building new/revamped products. 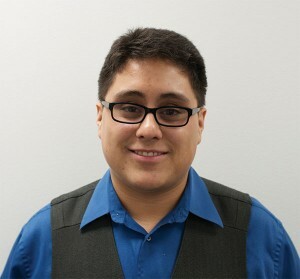 He holds a BSEE from Florida Atlantic University, an MBA from the Thunderbird School of Global Management and is pursuing a project management certification from Stanford. Simulating embedded hardware in a Windows environment can significantly reduce development time. In this article, Michael Melkonian provides techniques for the software-only simulation of embedded hardware. He presents a simple example of an RTOS-less embedded system that uses memory-mapped I/O to access a UART-like peripheral to serially poll a slave device. The simulator is capable of detecting bugs and troublesome design flaws. In this article, I will describe techniques for the software-only simulation of embedded hardware in the Windows/PC environment. Software-only simulation implies an arrangement with which the embedded application, or parts of it, can be compiled and run on the Windows platform (host) talking to the software simulator as opposed to the real hardware. This arrangement doesn’t require any hardware or tools other than a native Windows development toolset such as Microsoft Developer Studio/Visual C++. Importantly, the same source code is compiled and linked for both the host and the target. It’s possible and often necessary to simulate more complex aspects of the embedded target such as interrupts and the RTOS layer. However, I will illustrate the basics of simulating hardware in the Windows environment with an example of an extremely simple hypothetical target system (see Figure 1). Figure 1: There is a parallel between the embedded target and host environment. Equivalent entities are shown on the same level. Assuming that the source code of the embedded application is basically the same whether it runs in Windows or the embedded target, the simulation offers several advantages. You have the ability to develop and debug device drivers and the application before the hardware is ready. An extremely powerful test harness can be created on the host platform, where all code changes and additions can be verified prior to running on the actual target. The harness can be used as a part of software validation. Furthermore, you have the ability to test conditions that may not be easy to test using the real hardware. In the vast majority of cases, debugging tools available on the host are far superior to those offered by cross development tool vendors. You have access to runtime checkers to detect memory leaks, especially for embedded software developed in C++. Lastly, note that where the final system comprises a number of CPUs/boards, simulation has the additional advantage of simulating each target CPU via a single process on a multitasking host. Before you decide to invest in simulation infrastructure, there are a few things to consider. For instance, when the target hardware is complex, the software simulator becomes a fairly major development task. Also, consider the adequacy of the target development tools. This especially applies to debuggers. The absence, or insufficient capability, of the debugger on the target presents a strong case for simulation. When delivery times are more critical than the budget limitations and extra engineering resources are available, the additional development effort may be justified. The simulator may help to get to the final product faster, but at a higher cost. You should also think about whether or not it’s possible to cleanly separate the application from the hardware access layer. Remember that when exact timings are a main design concern, the real-time aspects of the target are hard to simulate, so the simulator will not help. Moreover, the embedded application’s complexity is relatively minor compared to the hardware drivers, so the simulator may not be justified. However, when the application is complex and sitting on top of fairly simple hardware, the simulator can be extremely useful. Now let’s focus on what makes embedded software adaptable for simulation. It’s hardly surprising that the following guidelines closely resemble those for writing portable code. First, you need a centralized access mechanism to the hardware (read_hw and write_hw macros). Second, the application code and device driver code must be separated. Third, you must use a thin operating level interface. Finally, avoid using the nonstandard add-ons that some cross-compilers may provide. Download the entire article: M. Melkonian, “Software-Only Hardware Simulation,” CIrcuit Cellar 164, 2004. Professor Wolfgang Matthes has taught microcontroller design, computer architecture, and electronics (both digital and analog) at the University of Applied Sciences in Dortmund, Germany, since 1992. He has developed peripheral subsystems for mainframe computers and conducted research related to special-purpose and universal computer architectures for the past 25 years. When asked to share a description and images of his workspace with Circuit Cellar, he stressed that there are two labs to consider: the one at the University of Applied Sciences and Arts and the other in his home basement. In both labs, rather conventional equipment is used. My regular duties are essentially concerned with basic student education and hands-on training. Obviously, one does not need top-notch equipment for such comparatively humble purposes. 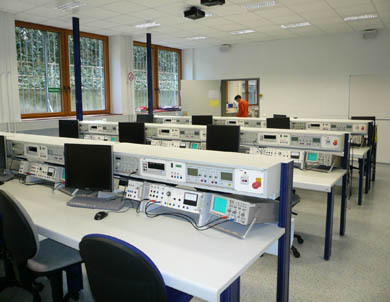 Student workplaces in the Dortmund lab are equipped for basic training in analog electronics. 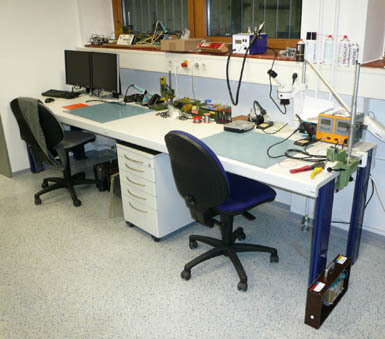 In adjacent rooms at the Dortmund lab, students pursue their own projects, working with soldering irons, screwdrivers, drills, and other tools. Hence, these rooms are occasionally called “the blacksmith’s shop.” Two such workstations are shown. Oscilloscopes, function generators, multimeters, and power supplies are of an intermediate price range. I am fond of analog scopes, because they don’t lie. I wonder why neither well-established suppliers nor entrepreneurs see a business opportunity in offering quality analog scopes, something that could be likened to Rolex watches or Leica analog cameras. 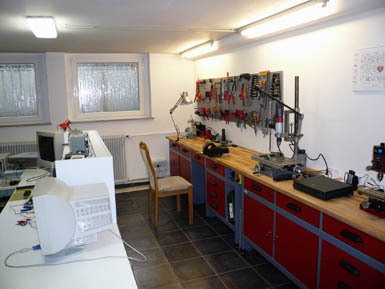 The orderly lab in Matthes’s home is shown here. Matthes prefers to build mechanically sturdy projects. So his lab is appropriately equipped. 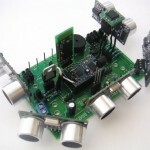 The projects comprise microcontroller hardware and software, analog and digital circuitry, and personal computers. 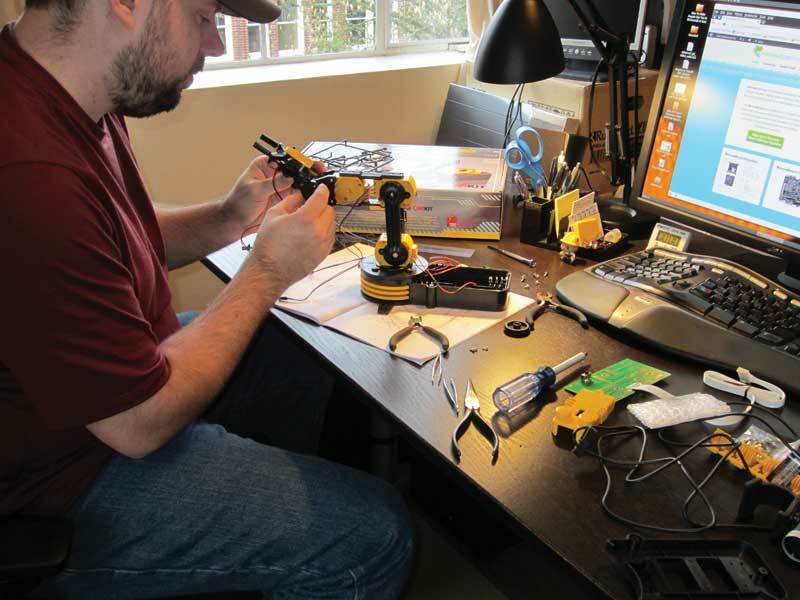 Personal computer projects are concerned with embedded systems, hardware add-ons, interfaces, and equipment for troubleshooting. For writing software, I prefer PowerBASIC. Those compilers generate executables, which run efficiently and show a small footprint. Besides, they allow for directly accessing the Windows API and switching to Assembler coding, if necessary. Microcontroller software is done in Assembler and, if required, in C or BASIC (BASCOM). As the programming language of the toughest of the tough, Assembler comes second after wire [i.e., the soldering iron]. My research interests are directed at computer architecture, instruction sets, hardware, and interfaces between hardware and software. To pursue appropriate projects, programming at the machine level is mandatory. In student education, introductory courses begin with the basics of computer architecture and machine-level programming. However, Assembler programming is only taught at a level that is deemed necessary to understand the inner workings of the machine and to write small time-critical routines. 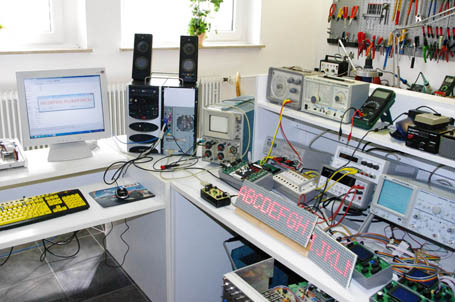 The more sophisticated application programming is usually done in C.
A digital analog computer in Matthes’s home lab works on master controller board bring-up and debugging. Each of the six microcontrollers is connected to a general-purpose human-interface module. 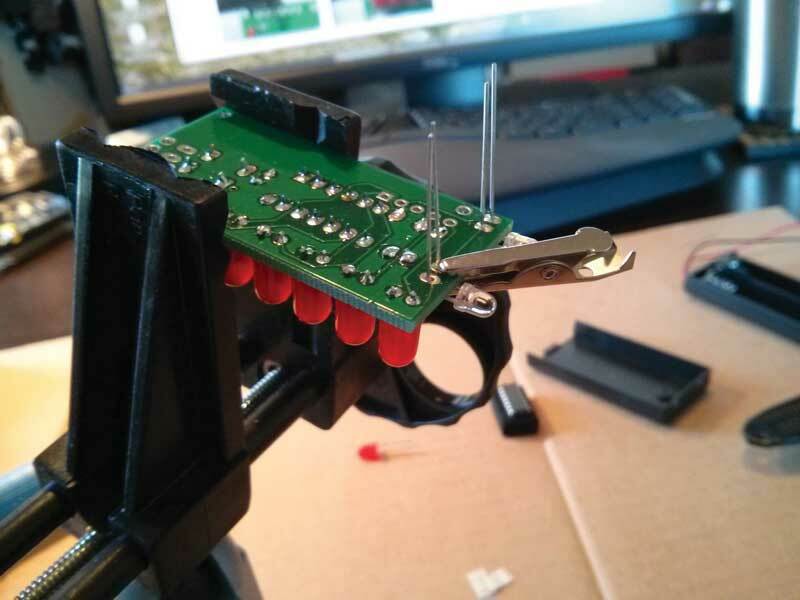 Additional photos of Matthes’s workspace and his embedded electronics and micrcontroller projects are available at his new website. Wurth Electronics Midcom and Lantiq recently announced The Evaluation Kit, a jointly developed demonstration kit. 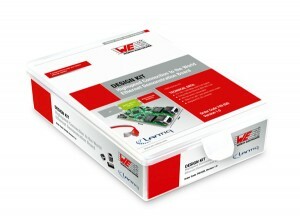 The kit enables users to easily add Ethernet hardware to an application or device and provides all necessary information to understand the demands of an Ethernet hardware design. 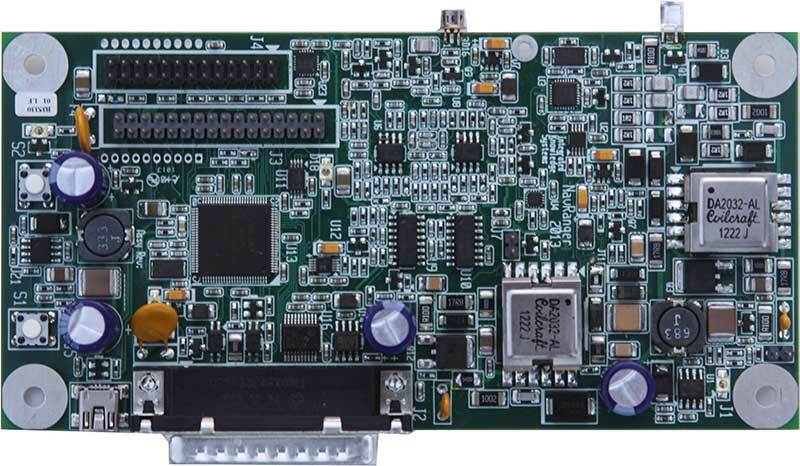 The Evaluation Kit includes an easy-to-use 1-Gbps demonstration board. 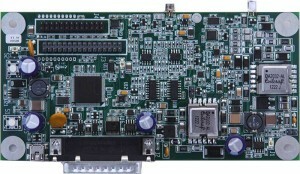 The (54-mm × 92-mm) credit card-sized demonstration board is powered by USB. The board plugs into PCs and provides up to 1-Gbps bidirectional data rates. The Evaluation Kit costs approximately $175. EMBEDDED PRODUCTS: Integrated Knowledge Systems provides hardware and software solutions for autonomous systems. featured Product: The NavRanger-OEM is a single-board high-speed laser ranging system with a nine-axis inertial measurement unit for robotic and scanning applications. The system provides 20,000 distance samples per second with a 1-cm resolution and a range of more than 30 m in sunlight when using optics. The NavRanger also includes sufficient serial, analog, and digital I/O for stand-alone robotic or scanning applications. The NavRanger uses USB, CAN, RS-232, analog, or wireless interfaces for operation with a host computer. Integrated Knowledge Systems can work with you to provide software, optics, and scanning mechanisms to fit your application. Example software and reference designs are available on the company’s website. EXCLUSIVE OFFER: Enter the code CIRCUIT2014 in the “Special Instructions to Seller” box at checkout and Integrated Knowledge Systems will take $20 off your first order. Client Profile: ImageCraft Creations, Inc.
EMBEDDED PRODUCTS:ImageCraft Version 8 C compilers with an IDE for Atmel AVR and Cortex M devices are full-featured toolsets backed by strong support. 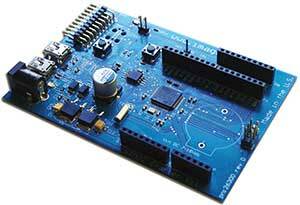 CorStarter-STM32 is a complete C hardware and software kit for STM32 Cortex-M3 devices. The $99 kit includes a JTAG pod for programming and debugging. ImageCraft products offer excellent features and support within budget requisitions. ImageCraft compiler toolsets are used by professionals who demand excellent code quality, full features, and diligent support in a timely manner. The small, fast compilers provide helpful informational messages and include an IDE with an application builder (Atmel AVR) and debugger (Cortex-M), whole-program code compression technology, and MISRA safety checks. ImageCraft offers two editions that cost $249 and $499. The demo is fully functional for 45 days, so it is easy to test it yourself. EXCLUSIVE OFFER: For a limited time, ImageCraft is offering Circuit Cellar readers $40 off the Standard and PRO versions of its Atmel AVR and Cortex-M compiler toolsets. To take advantage of this offer, please visit http://imagecraft.com/xyzzy.html. 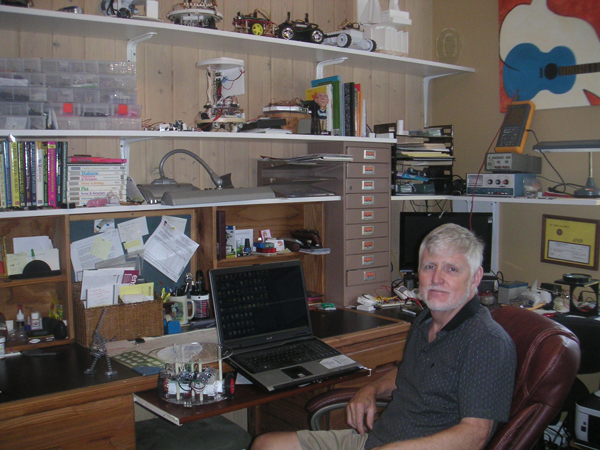 RobotBASIC co-developer John Blankenship accomplishes a lot in his “cluttered” Vero Beach, FL-based workspace. John Blankenship in his workspace, where he develops, designs, and writes. He develops software, designs hardware, packages robot parts for sale, and write books and magazine articles. Thus, his workspace isn’t always neat and tidy, he explained. “The walls are covered with shelves filled with numerous books, a wide variety of parts, miscellaneous tools, several pieces of test equipment, and many robot prototypes,” he noted. Blankenship co-developed RobotBASIC with Samuel Mishal, a friend and talented programmer. The introductory programming language is geared toward high school-level students. 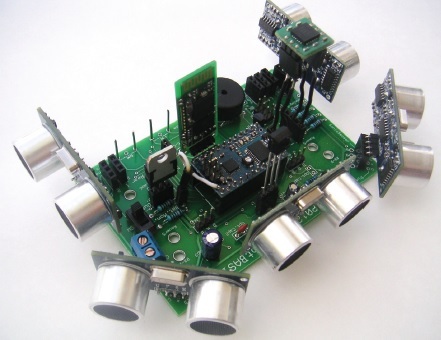 This PCB makes it easy to build a RobotBASIC-compatible robot. 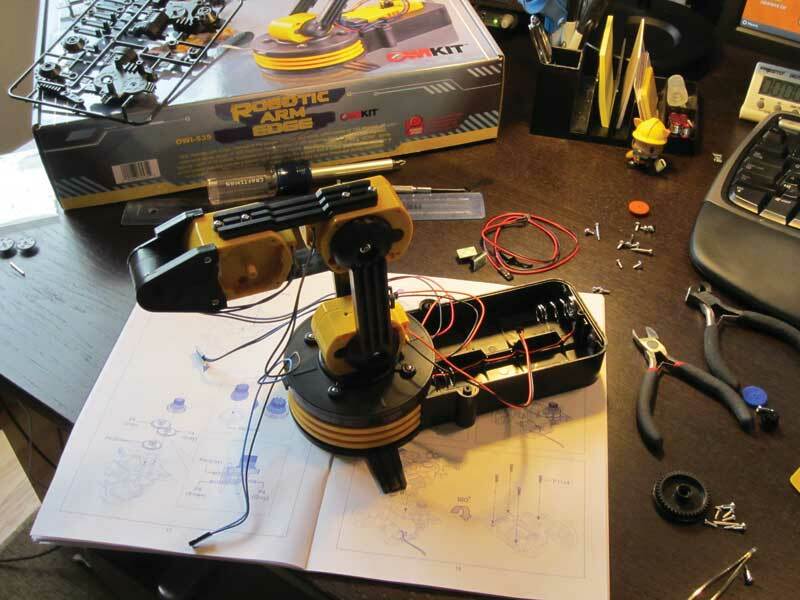 If you have ever built a robot, you know the physical construction and electronic aspects are only the first step. The real work begins when you start programming your creation. A typical starting point is to develop a library of subroutines that implement basic behaviors. Later, the routines can be combined to create more complex behaviors and eventually full-blown applications. For example, navigational skills (e.g., hugging a wall, following a line, or finding a beacon) can serve as basic building blocks for tasks such as mowing a yard, finding a charging station, or delivering drinks to guests at a party. Developing basic behaviors can be difficult though, especially if they must work for a variety of situations. For instance, a behavior that enables a robot to transverse a hallway to find a specified doorway and pass through it should work properly with different-width hallways and doorways. Furthermore, the robot should at least attempt to autonomously contend with problems arising from the imprecise movements associated with most hobby robots. Such problems can generally be solved with a closed-loop control system that continually modifies the robot’s movements based on sensor readings. Unfortunately, sensor readings in a real-world environment are often just as flawed as the robot’s movements. For example, tray reflections from ultrasonic or infrared sensors can produce erroneous sensor readings. Even when the sensors are reading correctly, faulty data can be obtained due to unexpected environmental conditions. These types of problems are generally random and are therefore difficult to detect and identify because the offending situations cannot easily be duplicated. A robot simulator can be a valuable tool in such situations. Do you want to share images of your workspace, hackspace, or “circuit cellar”? Send your images and space info to editor@circuitcellar.com. NAN: Describe your current position at Intel. What types of projects have you developed? SCOTT: I’ve worked at Intel’s Open Source Technology Center for just about four years. 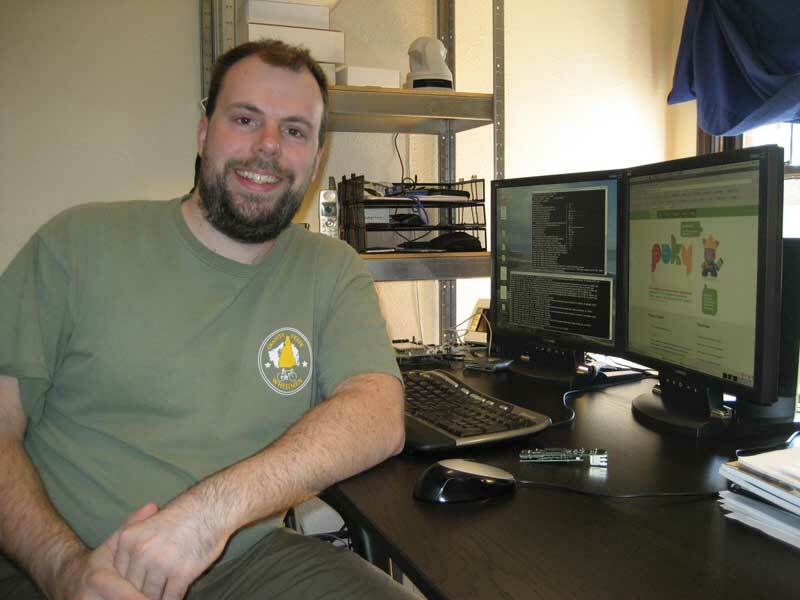 I began as an embedded Linux software engineer working on the Yocto Project and within the last year, I moved into a technical evangelism role representing Intel’s involvement with the MinnowBoard. Before working at Intel, my background was in developing audio products based on embedded Linux for both consumer and industrial markets. I also started my career as a Linux system administrator in academic computing for a particle physics group. Scott was involved with an Intel MinnowBoard robotics and computer vision demo, which took place at LinuxCon Japan in May 2013. I’m definitely a generalist when it comes to working with Linux. I tend to bounce around between things that don’t always get the attention they need, whether it is security, developer training, or community outreach. More specifically, I’ve developed and maintained parallel computing clusters, created sound-level management systems used at concert stadiums, worked on multi-room home audio media servers and touchscreen control systems, dug into the dark areas of the Autotools and embedded Linux build systems, and developed fun conference demos involving robotics and computer vision. I feel very fortunate to be involved with embedded Linux at this point in history—these are very exciting times! Scott is shown working on an Intel MinnowBoard demo, which was built around an OWI Robotic Arm. 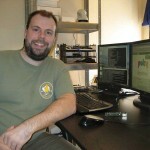 NAN: Can you tell us a little more about your involvement with the Yocto Project (www.yoctoproject.org)? SCOTT: The Yocto Project is an effort to reduce the amount of fragmentation in the embedded Linux industry. It is centered on the OpenEmbedded build system, which offers a tremendous amount of flexibility in how you can create embedded Linux distros. It gives you the ability to customize nearly every policy of your embedded Linux system, such as which compiler optimizations you want or which binary package format you need to use. Its killer feature is a layer-based architecture that makes it easy to reuse your code to develop embedded applications that can run on multiple hardware platforms by just swapping out the board support package (BSP) layer and issuing a rebuild command. New releases of the build system come out twice a year, in April and October. Here, the OWI Robotic Arm is being assembled. I’ve maintained various user space recipes (i.e., software components) within OpenEmbedded (e.g., sudo, openssh, etc.). I’ve also made various improvements to our emulation environment, which enables you to run QEMU and test your Linux images without having to install it on hardware. NAN: Intel recently introduced the MinnowBoard SBC. Describe the board’s components and uses. SCOTT: The MinnowBoard is based on Intel’s Queens Bay platform, which pairs a Tunnel Creek Atom CPU (the E640 running at 1 GHz) with the Topcliff Platform controller hub. The board has 1 GB of RAM and includes PCI Express, which powers our SATA disk support and gigabit Ethernet. It’s an SBC that’s well suited for embedded applications that can use that extra CPU and especially I/O performance. Scott doesn’t have a dedicated workbench or garage. He says he tends to just clear off his desk, lay down some cardboard, and work on things such as the Trippy RGB Waves Kit, which is shown. The MinnowBoard also has the embedded bus standards you’d expect, including GPIO, I2C, SPI, and even CAN (used in automotive applications) support. We have an expansion connector on the board where we route these buses, as well as two lanes of PCI Express for custom high-speed I/O expansion. 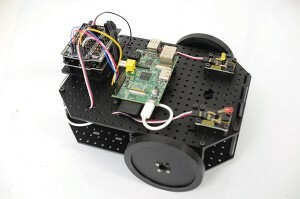 There are countless things you can do with MinnowBoard, but I’ve found it is especially well suited for projects where you want to combine embedded hardware with computing applications that benefit from higher performance (e.g., robots that use computer vision, as a central hub for home automation projects, networked video streaming appliances, etc.). And of course it’s open hardware, which means the schematics, Gerber files, and other design files are available under a Creative Commons license. This makes it attractive for companies that want to customize the board for a commercial product; educational environments, where students can learn how boards like this are designed; or for those who want an open environment to interface their hardware projects. I created a MinnowBoard embedded Linux board demo involving an OWI Robotic Arm. You can watch a YouTube video to see how it works. NAN: What compelled Intel to make the MinnowBoard open hardware? 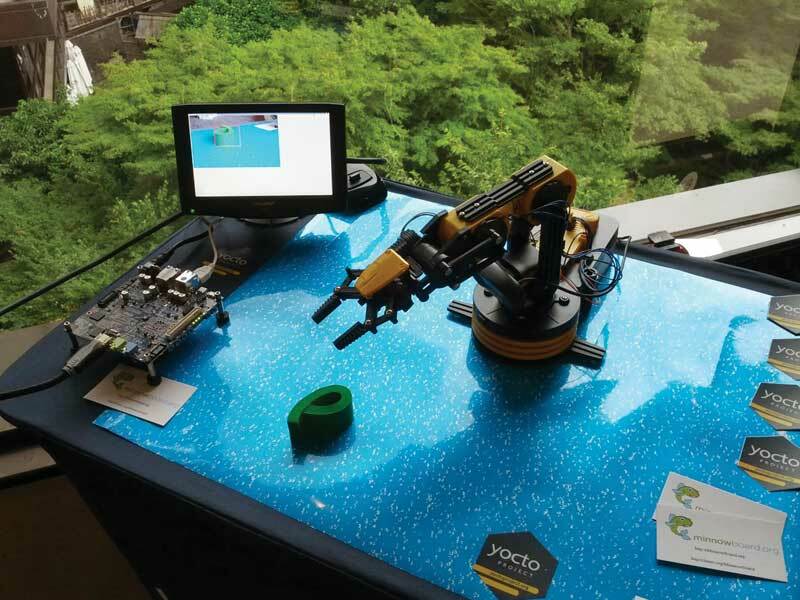 SCOTT: The main motivation for the MinnowBoard was to create an affordable Atom-based development platform for the Yocto Project. We also felt it was a great opportunity to try to release the board’s design as open hardware. It was exciting to be part of this, because the MinnowBoard is the first Atom-based embedded board to be released as open hardware and reach the market in volume. Open hardware enables our customers to take the design and build on it in ways we couldn’t anticipate. It’s a concept that is gaining traction within Intel, as can be seen with the announcement of Intel’s open-hardware Galileo project. NAN: What types of personal projects are you working on? SCOTT: I’ve recently gone on an electronics kit-building binge. Just getting some practice again with my soldering iron with a well-paced project is a meditative and restorative activity for me. Scott’s Blinky POV Kit is shown. “I don’t know what I’d do without my PanaVise Jr. [vise] and some alligator clips,” he said. I worked on one project, the Trippy RGB Waves Kit, which includes an RGB LED and is controlled by a microcontroller. It also has an IR sensor that is intended to detect when you wave your hand over it. This can be used to trigger some behavior of the RGB LED (e.g., cycling the colors). Another project, the Blinky POV Kit, is a row of LEDs that can be programmed to create simple text or logos when you wave the device around, using image persistence. Below is a completed JeeNode v6 Kit Scott built one weekend. My current project is to add some wireless sensors around my home, including temperature sensors and a homebrew security system to monitor when doors get opened using 915-MHz JeeNodes. The JeeNode is a microcontroller paired with a low-power RF transceiver, which is useful for home-automation projects and sensor networks. Of course the central server for collating and reporting sensor data will be a MinnowBoard. NAN: Tell us about your involvement in the Portland, OR, open-source developer community. SCOTT: Portland has an amazing community of open-source developers. There is an especially strong community of web application developers, but more people are hacking on hardware nowadays, too. It’s a very social community and we have multiple nights per week where you can show up at a bar and hack on things with people. This photo was taken in the Open Source Bridge hacker lounge, where people socialize and collaborate on projects. Here someone brought a brainwave-control game. 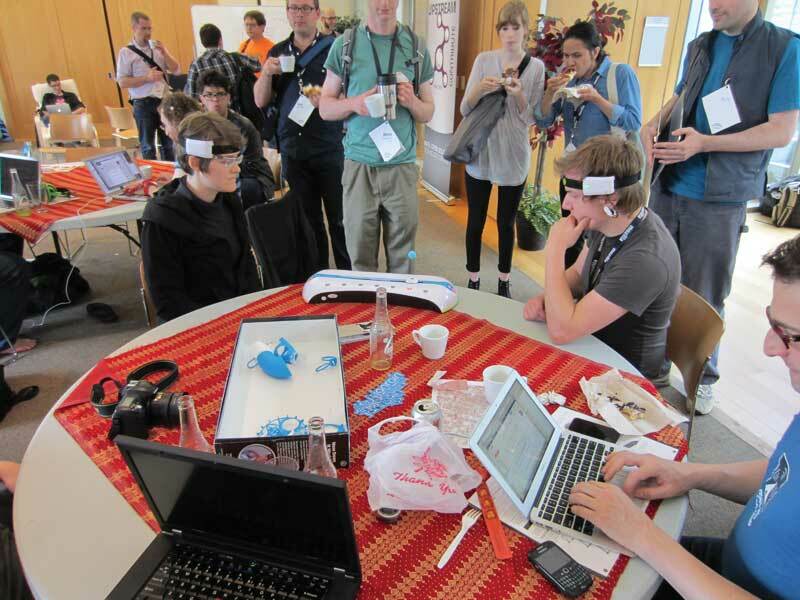 The players are wearing electroencephalography (EEG) readers, which are strapped to their heads. The goal of the game is to use biofeedback to move the floating ball to your opponent’s side of the board. I’d say it’s a novelty if I wasn’t so used to it already—walking into a bar or coffee shop and joining a cluster of friendly people, all with their laptops open. We have coworking spaces, such as Collective Agency, and hackerspaces, such as BrainSilo and Flux (a hackerspace focused on creating a welcoming space for women). Take a look at Calagator to catch a glimpse of all the open-source and entrepreneurial activity going on in Portland. There are often multiple events going on every night of the week. Calagator itself is a Ruby on Rails application that was frequently developed at the bar gatherings I referred to earlier. We also have technical conferences ranging from the professional OSCON to the more grassroots and intimate Open Source Bridge. I would unequivocally state that moving to Portland was one of the best things I did for developing a career working with open-source technologies, and in my case, on open-source projects. The TRACE32 modular hardware and software supports up to 350 different CPUs. The microprocessor development tools now support the latest version of Xilinx’s MicroBlaze 8.50.c, which is a soft processor core designed for Xilinx FPGAs. The MicroBlaze core is included with Xilinx’s Vivado Design Edition and IDS Embedded Edition. 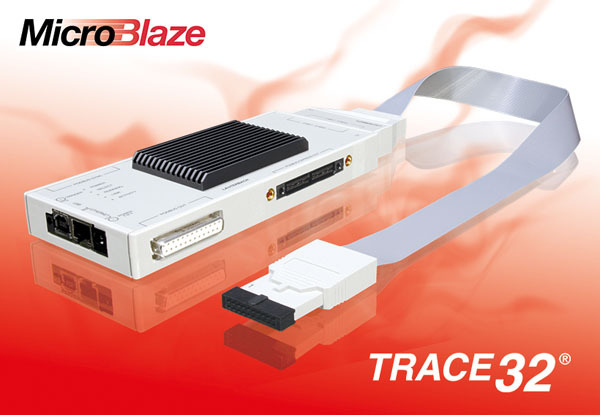 The TRACE32 tools have supported MicroBlaze for many years by providing efficient and user-friendly debugging at the C or C++ level using the on-chip JTAG interface. This interface also provides code download, flash programming, and quick access to all internal chip peripherals and registers. Featured Product: The TRACE32-ICD in-circuit debugger supports a range of on-chip debug interfaces. The debugger’s hardware is universal and enables you to connect to different target processors by simply changing the debug cable. 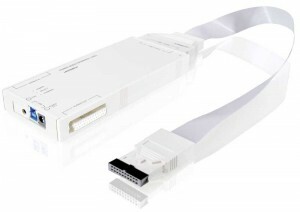 The PowerDebug USB 3.0 can be upgraded with the PowerProbe or the PowerIntergrator to a logic analyzer. Product Features: The TRACE 32-ICD JTAG debugger has a 5,000-KBps download rate. It features easy high-level Assembler debugging and an interface to all industry-standard compilers. The debugger enables fast download of code to target, OS awareness debugging, and flash programming. It displays internal and external peripherals at a logical level and includes support for hardware breakpoints and trigger (if supported by chip), multicore debugging (SMP and AMP), C and C++, and all common NOR and NAND flash devices. For more information, visit www.lauterbach.com/bdmusb3.html. But what if “you” are an individual electronics DIYer rather than an industrial designer? DIYers can find FPGAs daunting. The December issue of Circuit Cellar issue should offer reassurance, at least on the topic of “UDP Streaming on an FPGA.” That’s the focus of Steffen Mauch’s article for our Programmable Logic issue (p. 20). Ethernet on an FPGA has several applications. For example, it can be used to stream measured signals to a computer for analysis or to connect a camera (via Camera Link) to an FPGA to transmit images to a computer. Nonetheless, Mauch says, “most novices who start to develop FPGA solutions are afraid to use Ethernet or DDR-SDRAM on their boards because they fear the resulting complexity.” Also, DIYers don’t have the necessary IP core licenses, which are costly and often carry restrictions. Mauch’s UDP monitor project avoids such costs and restrictions by using a free implementation of an Ethernet-streaming device based on a Xilinx Spartan-6 LX FPGA. His article explains how to use OpenCores’s open-source tri-mode MAC implementation and stream UDP packets with VHDL over Ethernet. Mauch is not the only writer offering insights into FPGAs. 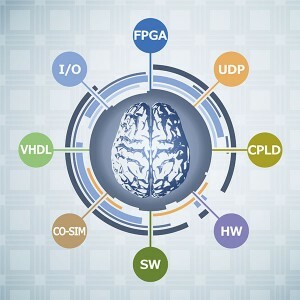 For more advanced FPGA enthusiasts, columnist Colin O’Flynn discusses hardware co-simulation (HCS), which enables the software simulation of a design to be offloaded to an FPGA. This approach significantly shortens the time needed for adequate simulation of a new product and ensures that a design is actually working in hardware (p. 52). This Circuit Cellar issue offers a number of interesting topics in addition to programmable logic. For example, you’ll find a comprehensive overview of the latest in memory technologies, advice on choosing a flash file system for your embedded Linux system, a comparison of amplifier classes, and much more. 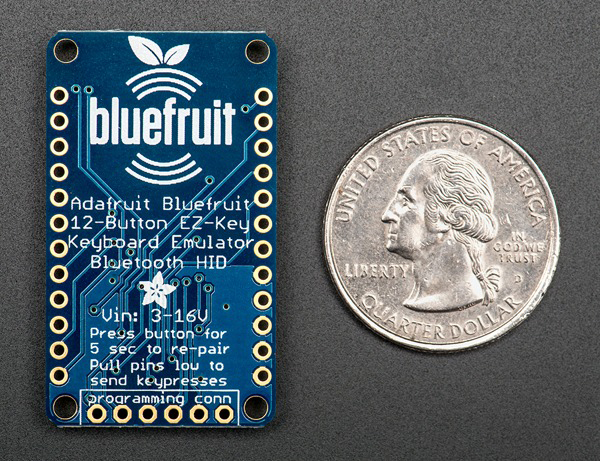 Adafruit’s Bluefruit EZ-Key enables you to create a wireless Bluetooth keyboard controller in an hour. The module acts as a Bluetooth keyboard and is compatible with any Bluetooth-capable device (e.g., Mac, Windows, Linux, iOS, and Android). You simply power the Bluefruit EZ-Key with 3 to 16 VDC and pair it to a computer, tablet, or smartphone. You can then connect buttons from the 12 input pins. When a button is pressed, it sends a keypress to the computer. The module has been preprogrammed to send the four arrow keys, return, space, “w,” “a,” “s,” “d,” “1,” and “2” by default. Advanced users can use a Future Technology Devices International (FTDI) chip or other serial console cable to reprogram the module’s keys for a human interface device (HID) key report. Each Bluefruit EZ-Key has a unique identifier. More than one module can be paired to a single device. The FCC- and CE-certified, RoHS-compliant modules integrate easily into your project. 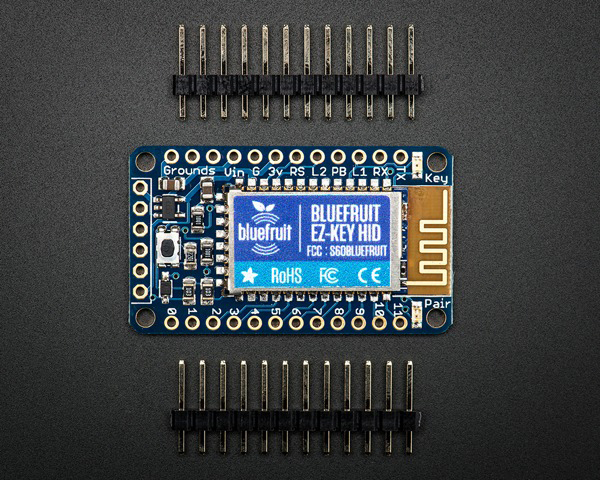 Pricing for the Bluefruit EZ-Key begins at $19.95. 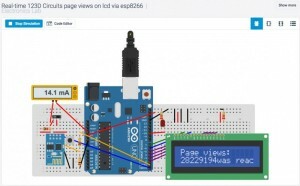 For more information, visit The Adafruit Learning System. 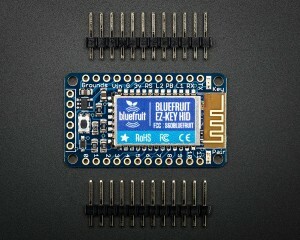 Bluefruit EZ-Key tutorials are also available.